Pancreatitis is an inflammation of the pancreas. This can either be acute or chronic. It can be caused by trauma, infection, drugs, toxins, or bad diet (e.g., the trashcan). It is seen mostly in dogs, any breed at any age, though the Miniature Schnauzer and the Boxer seem to be predisposed. Animals will usually have a painful abdomen, vomiting, possibly diarrhea, and feel very lethargic. This can be very serious, because the animal won’t eat, becomes weaker and other secondary issues can make the effects worse. A full exam and blood work is a must in order to diagnose this disorder. If needed, ultrasound or x-rays pictures may be done. The dog usually needs to be hospitalized and treated with I.V. fluids to help hydration and bring the electrolytes back into balance. The dog also receives no food orally for a time to help reduce the pancreatic secretions. 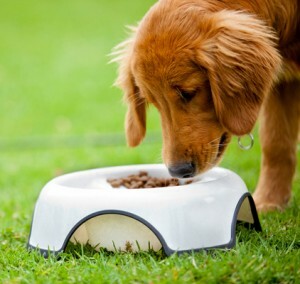 Then the dog is fed small amounts to ensure the food is digested and not vomited. There are medications that can be given to help with the vomiting and the abdominal pain.